Jaguar X-Type DPF Removal Breakthrough!! The Jaguar X-Type is a great executive model and the later 2.2D came with the 6-speed automatic gearbox and Jaguar sequential shift. The Jaguar X-Type adopted the 2.2L Duratorq ZSD-422 turbocharged engine from Fords, commonly used on top-of-the-range Ford Mondeo’s, however, this particular model from 2008- also came fitted with a Diesel Particulate Filter (DPF) as standard. The DPF on the Jaguar X-Type is fitted to the centre part of the exhaust system with a differential pressure sensor to calculate the soot content inside the DPF and EGT (Exhaust Gas Temperature) sensors to calculate the temperature within the Diesel Particulate Filter. At the correct temperature and driving style the ECU will perform a DPF regeneration by increasing the exhaust gas temperature in an attempt to burn off any Diesel Particulate Soot matter. The Diesel Particulate Filter is installed in the centre box half way down the exhaust and this in itself is a major flaw in it’s design. The further down the exhaust the DPF is installed, the lower the exhaust gas temperatures will be by the time they reach the DPF. The DPF relies on consistantly very high temperatures to perform a successful regeneration and it is far less possible the further down the exhaust the filter is installed. What Causes A Jaguar X-Type DPF To Fail? Besides the obvious flaw in the design of the Jaguar X-Type DPF system, there are some common causes that we’ve listed below which can cause the failure of the DPF system. Once the DPF has failed to regenerate and blocks up on the Jaguar X-Type, the DPF warning light will not go out without having it reset by a Jaguar dealership whilst they carry out a forced regeneration at a cost of around £250.00 +VAT, however, after having carried out a forced regeneration, it is advised to have an oil service because the injectors will dump fuel into the oil to raise the temperature to help aid a successful DPF regeneration. The diesel contamination in the engine oil will cause lack of lubrication which can lead to other mechanical problems. If the contaminated oil levels rise too high, this can cause over pressurising and in extreme cases, total loss of engine and other mechanical components. Below are some of the most common symptoms on a failed Jaguar X-Type DPF System. Why Not Regenerate My Jaguar DPF? Regenerating the DPF is possible but only really recommended if it’s the first time you’ve experienced the DPF problem. If it is not the first time and you have had the DPF regenerated once before, then we don’t recommend attempting a regeneration again – simply because it can do more damage then good and you will most definitely be back round to same position with the DPF light back on again sooner than you think. A DPF Regeneration puts a lot of strain on components and can lower the life expectancy of the injectors and at the same time it can damage the already blocked elements within the Diesel Particulate Filter – causing it to block up quicker the next time round. If it is the second or third time your DPF problem has come back then you really only have two options – either replace with a new genuine part or take on our DPF Removal service. When the DPF gets blocked up, the excess back pressure and increase in EGT’s (Exhaust Gas Temperatures) can lead to further problems if left ignored, such as some of the common problems which follow from a blocked DPF as listed below. 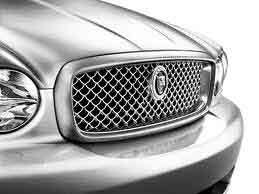 How Will SINSPEED Remove My Jaguar X-Type DPF? When your Jaguar X-Type arrives at our workshop, we start by making a note of the fault codes stored on the ECU, deleting the codes and downloading the ECU map files to begin manually deleting all the DPF file structures and de-activating the DPF Regeneration system. We offer a CUSTOM DPF Removal session, not using any type of automated software in the process – this will eliminate any possibilities of encountering problems as many people will experience when using mobile tuners. We then go ahead and program the engine ECU with your new Custom DPF Removal Software and carry out a FREE Smoke-Correction service to ensure the vehicle won’t smoke – This is our guarantee and something that currently NO other company in the UK can offer! After having the DPF removed from your Jaguar, you will not experience any error messages and the car will not go into LIMP mode. Also, you will never experience any Regeneration messages where the ECU normally attempts to clean the DPF – this is because the DPF is no longer existing. 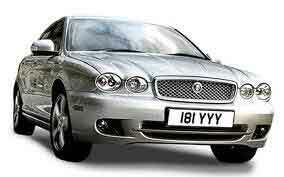 A new DPF (Diesel Particulate Filter) for the Jaguar X-Type ranges from £900.00 – £1500.00 (+Labour & VAT). We can remove the entire DPF for a fraction of this cost and you’ll never have to worry about it ever again. Tags : How To Remove Jaguar DPF, Jaguar DPF Amber Warning Light, Jaguar DPF Filter Removal, Jaguar DPF Red Warning Light, Jaguar X-Type 2.2 DPF Blocked, Jaguar X-Type DPF Delete, Jaguar X-Type DPF Problems, Jaguar X-Type DPF Regenerations, Jaguar X-Type DPF-OFF, Removing Jaguar DPF, Replacing Jaguar DPF Filter, Replacing Jaguar DPF System. Hello ! We are company which is repair exhaust car systems.So we need a solution on deleting a DPF from different vehicles with Delphi.For example -Jaguar, Sprinter and so on. We are able to buy this solutions from you. Please write us back if you are able to work with us. For pricing, please send us an email or call our offices.